Ivy Oak cluster is close to Reston Town Center, Lake Anne, pools, paths, and the new metro! Want the ease of condo living, without living in a traditional condominium high rise? Ivy Oak is the place for you. This condominium community is truly a gem, especially for families with young children (they will love the large playground!). And, Ivy Oak is about a ten minute walk to Reston Town Center, close to both Whole Foods and Harris Teeter, and has easy access to the new Wiehle metro station. 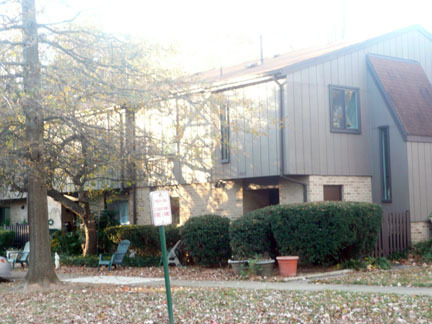 Ivy Oak Cluster was built in 1970/71 and consists of 96 2-story, 3 or 4 bedroom townhomes. Each has a nice backyard space, many of which are fenced. 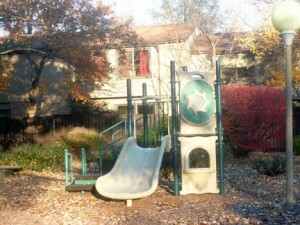 The neighborhood also has a large common space with a wonderful playground. Ivy Oak is located off North Shore Drive, close to Temporary Road. For me, the nice thing about condo living in Reston is that all of the exterior maintenance is covered in your condo fee. That means you won't have to replace your roof, or any other major exterior repair. Now that is peace of mind for the busy professional or family. There are no current listings in Ivy Oak Square but this past year 9 properties sold with an average price of $355,700 (maximum $384,900; minimum $323,000) and an average days on market of just 12.